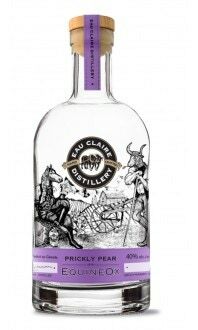 Sorry, Eau Claire Distillery does not ship wine to United States. Three Point Vodka is made for social animals, and is the instinctive choice for discerning vodka connoisseurs. Three Point is beautifully smooth: perfect in a martini, with a favourite mix, or on its own. Made with pure mountain water, this drink is naturally fortified with minerals that polish and elevate flavour. Three Point Vodka is named for Three Point Creek, a tributary to the Sheep River where our vodka is produced on the edge of the Rocky Mountains. It is on the banks of Three Point Creek that one of our Founders farms some of our ingredients using a team of horses and a 100-year-old plough. 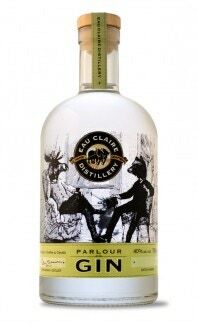 The bottle depicts a classic Canadian social scene, skating on a frozen creek around a May pole – perfect for a vodka named after the local Sheep River tributary. 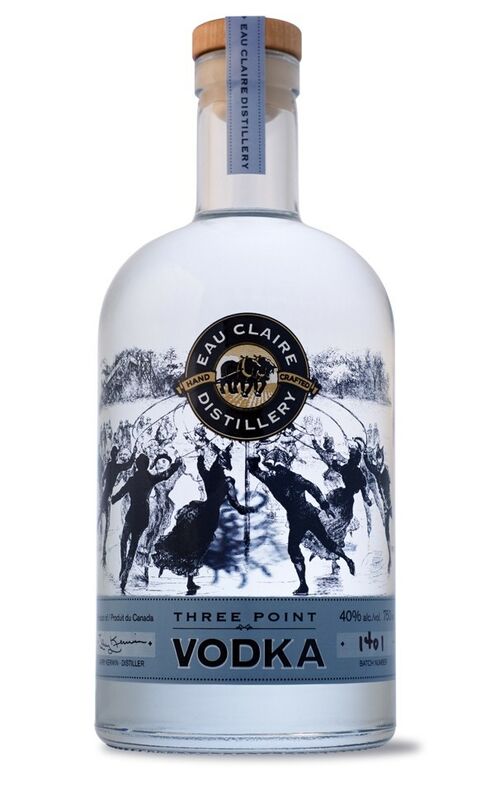 Three Point Vodka like all Eau Claire spirits, is handcrafted in small batches; its distinguishing character a testament to the traditional artisanal methods and ‘farm-to-glass’ philosophy practiced by Eau Claire.